The first day of implementation of the National Selection Entrance State University (SNMPTN) 2011 in West Papua lonely enthusiasts. This year, all over West Papua, only 521 participants who signed up to follow SNMPTN. Hundreds of participants are to take the test in four cities, namely Manokwari (336 participants), Sorong (107 participants), Kaimana (40 participants) and Fakfak (43 participants). Quiet the interest the students take the test as many high school graduates in West Papua who choose to continue their studies outside New Guinea. Acting Rector of the University of Papua (Unipa) Manokwari, Marlyn Lekitoo also recognize the interest the students take exams lonely. Even according to Marlyn, the number of participants fell far compared to last year that number reached 800 people. According to Marlyn, Unipa party actually has opened admissions through three channels. Namely SNMPTN, Fellow or Student Selection Mainstay Login Unipa and local tests. But the point is also less favorable reception. If last year managed to capture Neighbor track more than 700 participants, this year only about 400 people. As for the path invitation, students who enroll only 36 people. "We also could not confirm whether they will all re-register or not," said Marlyn. This year, according to Marlyn, party quotas Unipa prepare about 1,000 student seats. Marlyn hope these quotas will be met after the implementation of local selection which will be implemented in the near future. In Unipa itself, really has opened 19 courses for undergraduate level diplomas and 11 majors. Marlyn hope majors who opened it will attract the interest of graduates to college in Unipa. "Of all the courses, only some of the favorite. Like the Economic and Literature for undergraduate and Computers for the diploma," said Marlyn. Implementation SNMPTN in West Papua this year held in four districts namely Manokwari, Sorong, Fakfak and Kaimana. To Manokwari, the implementation done in the Campus Unipa exam. While in other cities, held in a number of schools. Meanwhile Monitoring SNMPTN East region, Rifdan, revealed a number of weaknesses in the implementation unjian this year. One is the weakness in the random system in place when determining the number of participants. One result of the random system is the number of seats that are not filled. "We look like is happening now. Of the 80 seats that the committee set up in one room, only filled about 25 to 30 seats," said Rifdan. However, according Rifdan, the implementation of the first day of testing this exam Mathematics, Indonesian and English run smoothly. Local Selection Committee for the National Entrance State University (SNMPTN) in Bandung declare the existence of absolutely no jockey on the first day of this exam. However, there are some implementation issues to be discussed and exam specifically reported to the central committee. Local Committee Secretary SNMPTN Bandung, Asep Gana Suganda, said there were no reports from all supervisors jockey until exams were finished before noon. The problem that it is still popping up around the exam, which is related to online registration system. First, reports of photos on the card participants. From the observation Tempo, reporting that problem continues to come surging into the committee secretariat at ITB until this afternoon. They were asked supervisors to fix or complete the photo on the card participants. Because, there are photos that are not clearly printed, printed only a half, until discharged. Reasons participants who noted the committee, they've included a photo during online registration, but the committee computer system was not optimal. Some participants eventually asked to submit a new photo for the card taped to the participant. "The number of troubled more than 30 participants," said Asep. Still less maximal relevant information systems and technology central committee, some participants experienced a double test numbers. The amount recorded increases until this afternoon so seven people from the previous five participants during the first day of rest before the exam. "I leave the matter to the information and technology," said Asep. Problem number of participants who have this dual test, he said, a special local committee will be reported to the committee SNMPTN central Bandung. The aim is to guarantee the rights of participants did not fall because of system error. The connection between SAT scores and scholarship/financial aid programs varies from program to program, but it is worth examining in general terms. Not all financial aid programs are merit-based, but many still require solid SAT scores for eligibility. Because each college has its own financial aid programs and policies, it's a good idea to check out a school's policy before applying. However, the majority of schools still do use the SAT and other standardized test scores to determine eligibility. In fact, the National Association for College Admissions Counseling (NACAC) recently found that nearly four out of five schools relied on these scores in their applications for merit-based aid programs. The good news is that if a student is accepted by a school that claims to be need-blind, that student's SAT score should be enough to award her whatever financial aid she needs. Of course, students can collect financial aid from sources other than their colleges or universities. There is a plethora of merit-based scholarships available from philanthropists, corporations, and non-profit organizations who wish to reach out to their favorite subset of the best and brightest. No matter how unusual a student's interests, there's usually a scholarship to match. For example, vegetarian community leaders can apply for a $10,000 scholarship from the Vegetarians Resource Group, and skilled accordionists may win $1,000 from the American Accordion Musicological Society. Not all merit-based scholarships rely heavily on SAT scores to determine a student's eligibility, but many do. The National Merit Scholarship, for instance, establishes a first round of finalists by looking at scores from the PSAT, an optional test before the SAT. And even the most activity-specific scholarships, such as athletic scholarships, look at a student's SAT score. Merit-based scholarship programs are notoriously selective, many even more so than the majority of colleges, and chances are good they will include SAT score as a key criterion. As important as the SAT is for college applications, a high score can be just as essential for students who seek financial aid. So next time you pull out your flash cards, study right triangles, or write a timed essay to practice for the test, think of all the college money that could be yours because you pushed yourself to get a higher score. 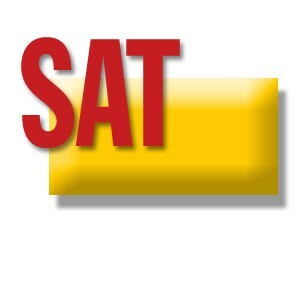 SAT or your scholastic aptitude test is an important test that you need to pass if you want to go to college. With this very important exam, you have to prepare yourself to pass it or ace it if you can. Of course, your SAT is your make or break test because this will determine if you can go to college, that is why preparation is crucial. You can however find a lot of tips and techniques in studying effectively for your SAT and some tips as well on how to take the exam confidently. Here are a few tips that might help you on how to study for SAT, score high and start working on that college degree you've always wanted. - Find practice study guides and preparation materials that you can get for your scholastic aptitude test. Materials like these can help you get the feel of taking the exams rather than just going over your notes. You can find resources which can provide you with SAT-type study guides and practice test. You can secure one from your school or you can also find resources online or from friends who already passed the test. - Take preparation courses that can help you pass or ace your SAT. It is important to emphasize preparation when it comes to taking this type of test, and if you want to score high with it, one way to prepare is to take preparation courses that are intended for those who are planning to take their SAT. - Learn to take SAT-like exams under time pressure. This type of exam usually are under time restrictions and even if you have reviewed your lessons over and over if you crack under pressure, you may get into a mental block state where you might just forget everything that you have studied. Although the actual tests may 'feel' differently than during practice, it helps a lot to be able to learn to manage the pressure of time restrictions so you can focus more on answering the questions when you are already there, taking your actual scholastic aptitude test. - Widen your vocabulary. Vocabulary is a common part of tests like the SAT and in fact, it can also be one of the parts that you can also best prepare with. If you want to score high in this exam, then start improving your vocabulary now. Learn new words ahead of time, master them, use them and broaden your vocabulary. Of course, if you are looking for ways on how to study for SAT, you must be preparing for that important test in your life, but keep in mind to start studying early. Set a schedule that allows you to study far ahead from the exam. Cramming is not a good option and in fact, it can lead you to higher chances of forgetting what you have studied. 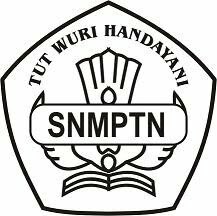 Chief executive of national selection into public universities (SNMPTN), 2011, Harry Suhardiyanto, said it has conducted a variety of anticipation and continuous improvement as an effort to eliminate all forms of cheating on the written exam lane SNMPTN 2011. Herrera explained, in addition to forms of matter are distinguished between students who graduated this year and graduate students the previous year, namely 2009 and 2010, another tactic is to attach the seat number of participants a few hours before the time the test done. "It's part of the improvements that we do constantly to ensure that even small acts of fraud can be eliminated. Including this year, about to graduate earlier distinguished graduate this year," said Harry, Tuesday (05/31/2011) in SMAN 82, Jakarta Selatan. In addition, Herrera continued, "It's also one of our efforts to deter fraud jockey." "Especially from those who already graduated and was accepted at a good college, but still take the exam again. Not for himself, but represent another person in order to pass this exam, and it is not justified," he said. While on a separate occasion, the Minister of National Education (Education Minister) Mohamad Noah claims to have anticipated the existence of leakage and fraud in the execution of a written exam SNMPTN path. Noah said, all forms of fraud will be traced. If it is proven, he promised to give strict punishment to anyone who is involved in carrying out fraud. "Never mind the leak, just dripping have been anticipated. Sanctions first, who leaked it, obviously he is responsible. We agreed with the president of all public universities, if faculty or students PTN divulge the jockey will be out," said Noah . Local Committee (Panlok) National Selection Entry Bandung State University (SNMPTN) in 2011 to receive information on indications of fraud in the form perjokian SNMPTN. However, until now has not seen such cases. "But, yesterday fraudulent information that way already exists," said the First Executive Secretary of the Local Committee Bandung SNMPTN Asep Gana Suganda 2011 in Bandung, on Tuesday (31/05/2011).